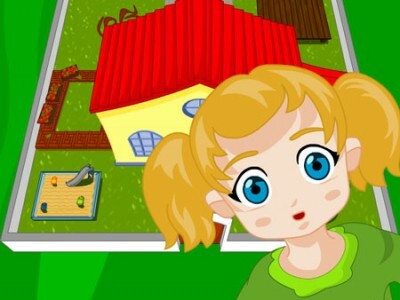 This little girl has been playing all day long her favorite computer games and has forgotten to clean the house and her parents will be home in less than 15 minutes. They mustn’t see the house dirty. Fortunately she has found her grandmother’s magical broom and will manage to clean up real fast. Help the girl clean every corner of the house.